Keeping the diverse requirements of customers in mind, we are instrumental in offering superb quality assortment of Nigella Sativa Seed Powder. 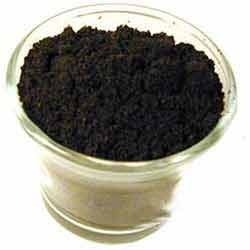 Kalongi Powder (Black seed or Kalonji has stimulant, analgesic, antiviral, antibacterial, anti-inflammatory, anti-helminthic, antihistamine, spasmolytic, immune-modulatory, diuretic, and carminative properties. The spice strengthens the immune system and possesses anti-cancer qualities. 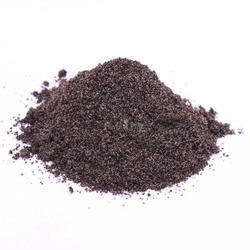 Black seed powder has anti-asthmatic effects, is also used for skin problems like eczema and psoriasis. It helps sooth inflammation and improve the speed and which skin heals, aid in digestion and may decrease gas, bloating and stomach pain. Black seeds seem to balance the immune system- increasing immune function but not encouraging immune reactions against the body’s healthy tissue. Our well-structured warehouse is properly maintained and installed with diverse amenities required for the safe storage of the products. Moreover, we keep on updating the unit for enhanced safety. With our wide connectivity, trustworthy shipping facilities, we are flexible in delivering the product basket to the clientele within the dedicated time.